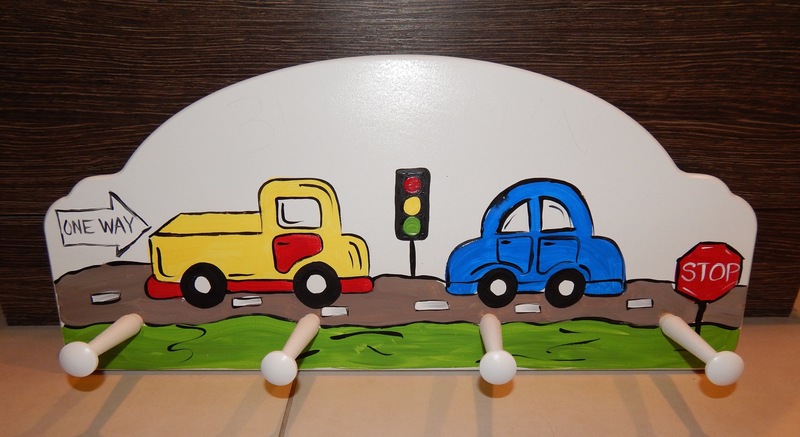 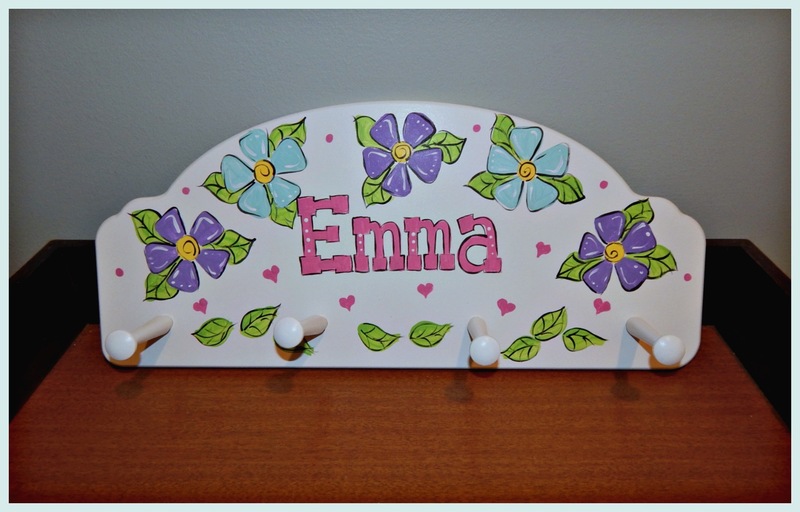 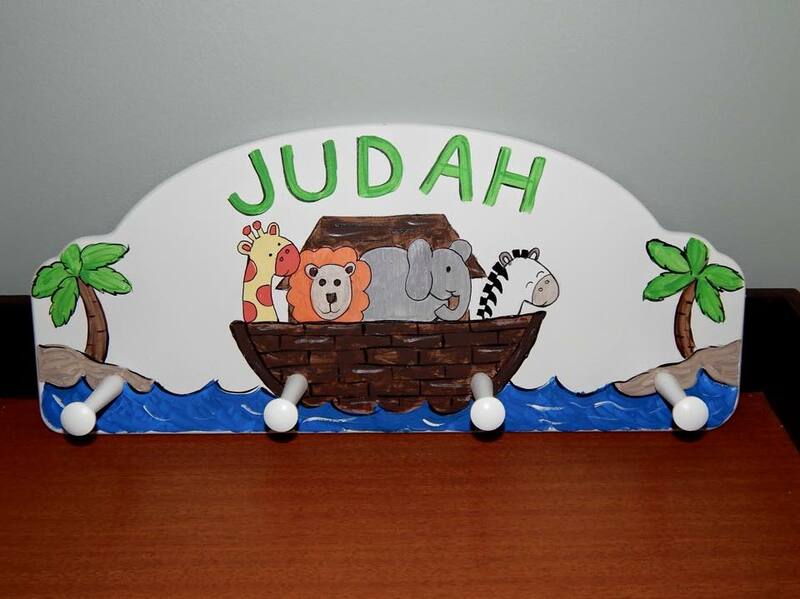 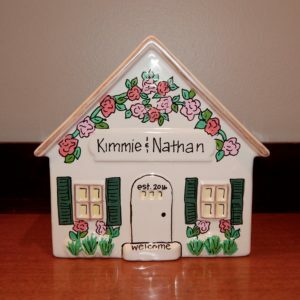 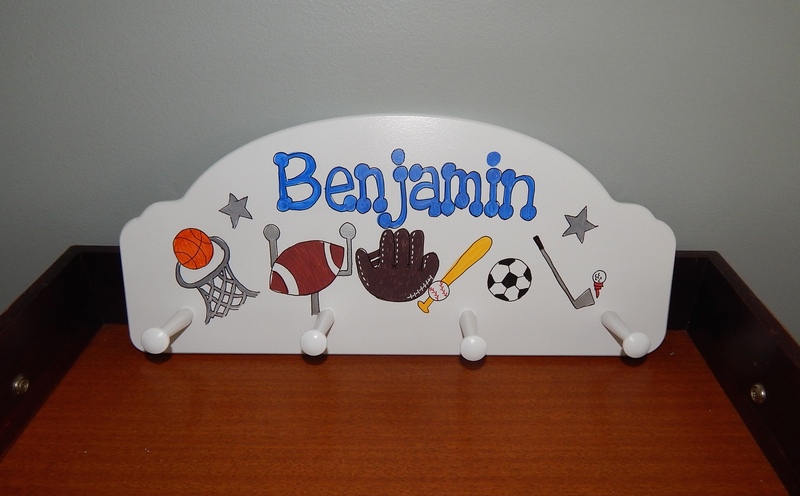 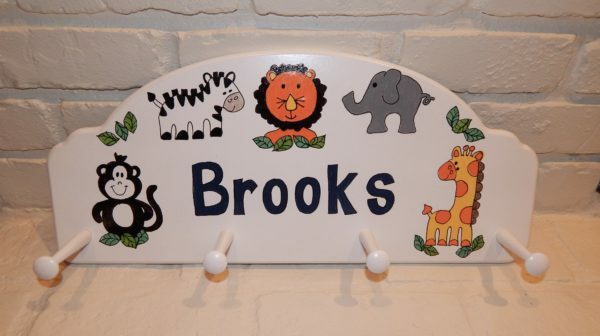 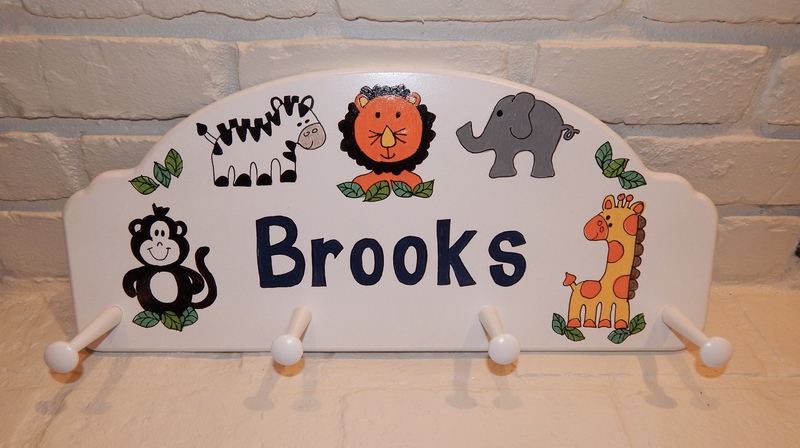 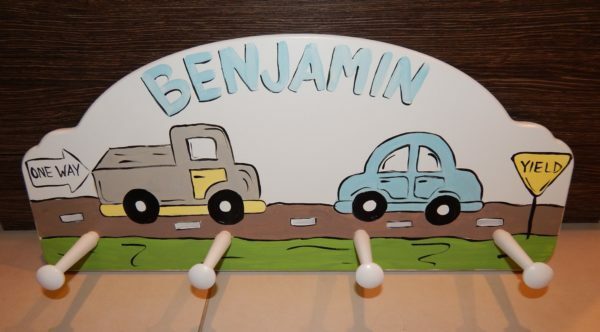 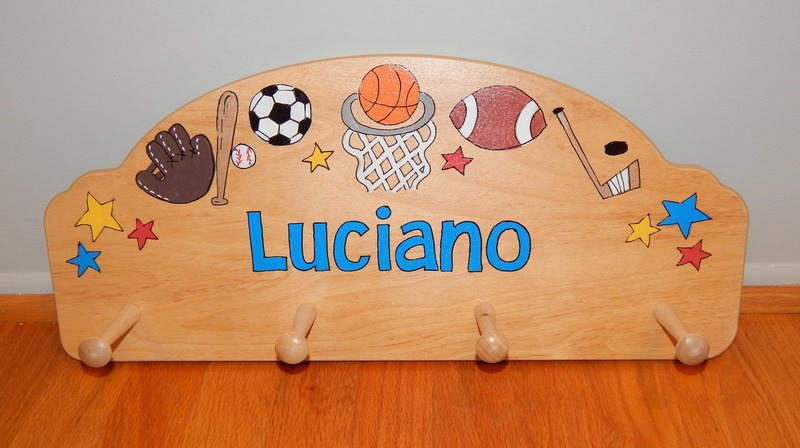 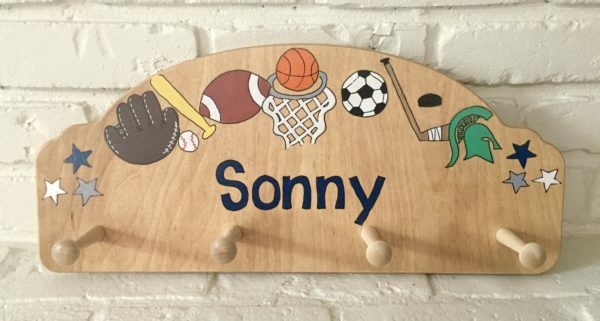 Our personalized coat rack is a great way to decorate and keep your kids room tidy! Great for hanging up their coats, hats, book bags, as sports gear to help your kids stay organized. 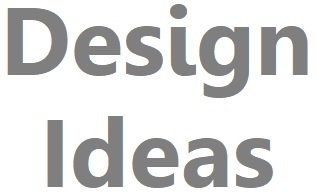 Available in white or natural wood finish in two sizes.